DreamBox is an adaptive math program that personalizes instruction from intervention through enrichment. Students can log into their account using the Chrome internet browser, or they can download the two DreamBox apps onto an iPad. DreamBox is currently available for all 2nd graders at Reed Elementary School and all students at Bel Aire Elementary and Del Mar Middle School..
Below are the instructions for home access. You will need to use the links below for computer access and the codes below for iPad access. If using a computer, please download and use the Chrome browser. You need Flash installed to access the program. If you don't have it installed, it will give you directions for installation. ​The code above will need to be entered the first time you use an iPad. To get full access to all of the mathematics in their Pre-K through 8th grade database, DreamBox recommends installing both apps. You will only need to login to one of them, and then they will work together seamlessly. Be sure to use the correct access code above the first time you log in! Q. Why are there two apps? A. 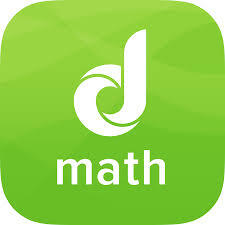 To fit all of the math content. Q. What is the difference between DreamBox Green and DreamBox Blue? A. DreamBox Green contains instructional content for grades K-5. DreamBox Blue contains instructional content for grades 5-8. We recommend installing both apps because students may see content spanning multiple grade levels. For example, you may have a student in Grade 4 who is ready to tackle content that appears in Grade 6. When this happens, the student will seamlessly switch to the companion DreamBox Blue app. Likewise, a Grade 7 student may need to review concepts as far back as Grade 4. If one of the apps has not been installed, then students will not be able to proceed to the lessons in the missing app. Q. Will my child have to log in and out of each app? A. No. 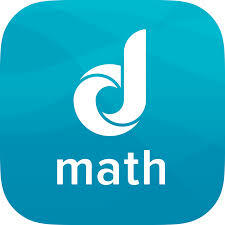 Switching from one DreamBox Math app to the other will be seamless so that students do not have to log in separately. ​3. Click "Setup Parent Access" at the bottom of the page. 3. To see student progress, click the Family Dashboard button. ​1. Allow for 15 to 20 minute sessions throughout the week. from incorrect answers, as they help find the right lesson to build learning progress. ahead before he or she is truly ready.